The East Lachlan Fold Belt in New South Wales is one of Australia’s largest mining regions with a long history of producing copper, gold, lead, and zinc...plus silver and tin. This well-known and well-endowed minerals district — and projects owned by the company we are introducing to you today — hold such a variety of minerals that production can be alternated based on which holds the most commercial potential. And the area still holds plenty of potential for new discoveries. The most successful companies are agile enough to adapt when circumstances change. This Aussie explorer has done just that. It has adapted its strategy to capitalise on emerging opportunities, refocusing from copper with zinc and gold production now in its sights as it looks to diversify operations and future revenue streams. Zinc prices have benefitted from a pick-up in demand from China’s infrastructure sector combined with production cuts that led to severely low inventory levels. Strengthening zinc prices and improving economics for gold, have opened the company’s eyes to the zinc and gold potential of its projects. And now that the copper price recovery is underway, it too will help this now more diversified company on its path to commercialisation and profitability. The company recently completed just under 1200m of RC drilling of five exploration holes in the Lloyd’s prospect, with assay results for all holes to be announced imminently. What we do know is that drilling intersects appear in agreement with previously produced ore body models. 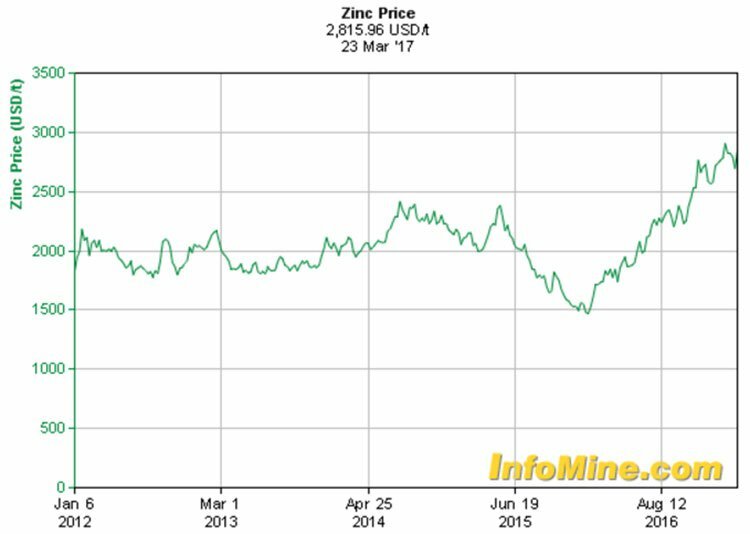 Looking at the overall picture, the company is seeking to capitalise on current commodity prices, especially as zinc exploration at Burraga has been overlooked in favour of copper and gold. Yet, what this company is seeing could change things dramatically. Highly encouraging zinc-dominated mineralisation has been observed and is currently being interpreted. The results of this will inform the June quarter drill program. This company has the right mix of assets to take advantage of the changing commodities landscape. It has a highly attractive and promotable multi-commodity portfolio with plenty of future growth opportunities, requiring just modest budgets. It has also been clear in telling the market that it is not ‘tunnel-visioned’ and is open to looking at other regions and projects it believes are worthwhile. The company recently expanded its holdings at its flagship copper-gold project from 138 sq. kilometres to 221.5 sq. kilometres. And is now drilling at the project — in line with their revised strategy. These gold targets are quite shallow and gold has been mined there in the past. Ultimately, the company is aiming to define a 10 million tonnes at 2% copper equivalent Resource – around 40,000 tonnes of copper metal. And it hopes to increase the current 32,000oz gold resource to around 500,000oz at around 2-4g/t gold. And that’s before we even get to zinc. 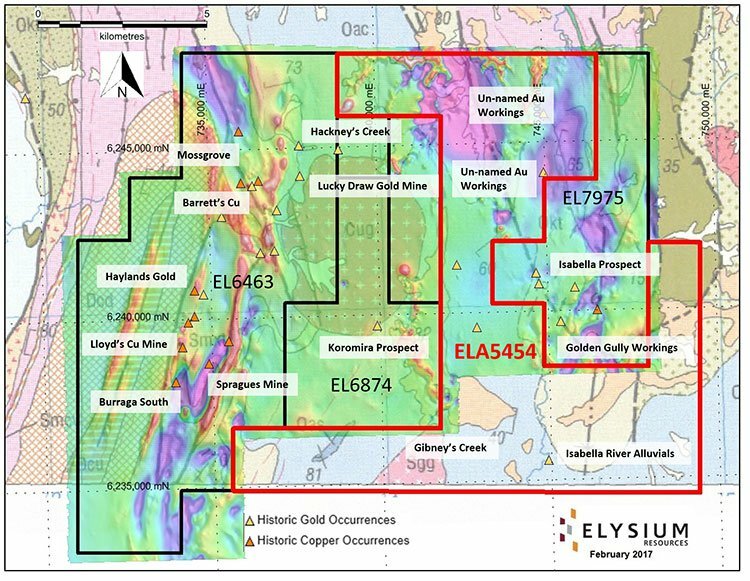 Elysium Resources (ASX:EYM) is a diversified Australian exploration company with two projects in Australia and one in Indonesia. 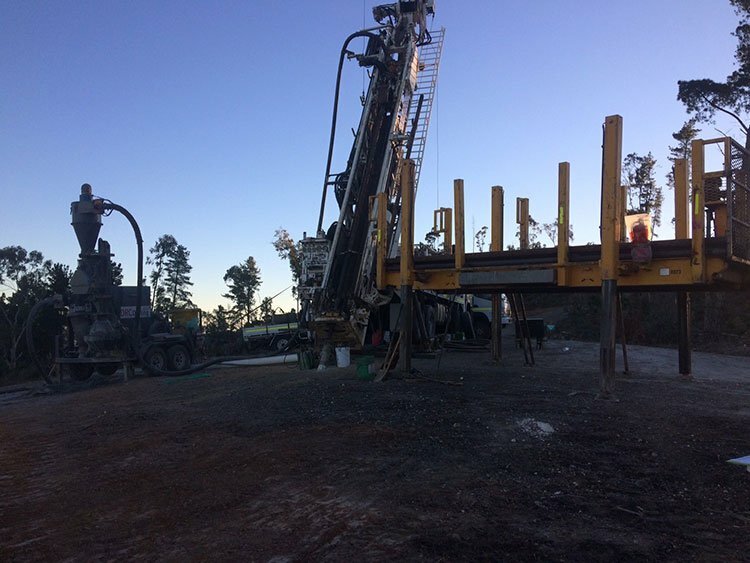 The company, which has $3.5 million in the bank has recently completed its first round of drilling at its Burraga Project and is also in the throes of a Share Purchase Plan to raise approximately $1.3 million. Eligible shareholders will be able to purchase new shares at an issue price of $0.01 cents, the same as the recent Placement and discount. The money will go a long way to furthering EYM’s exploration at its gold tenements at Hackney Creek and Isabell, as well as Lloyd’s copper mine. 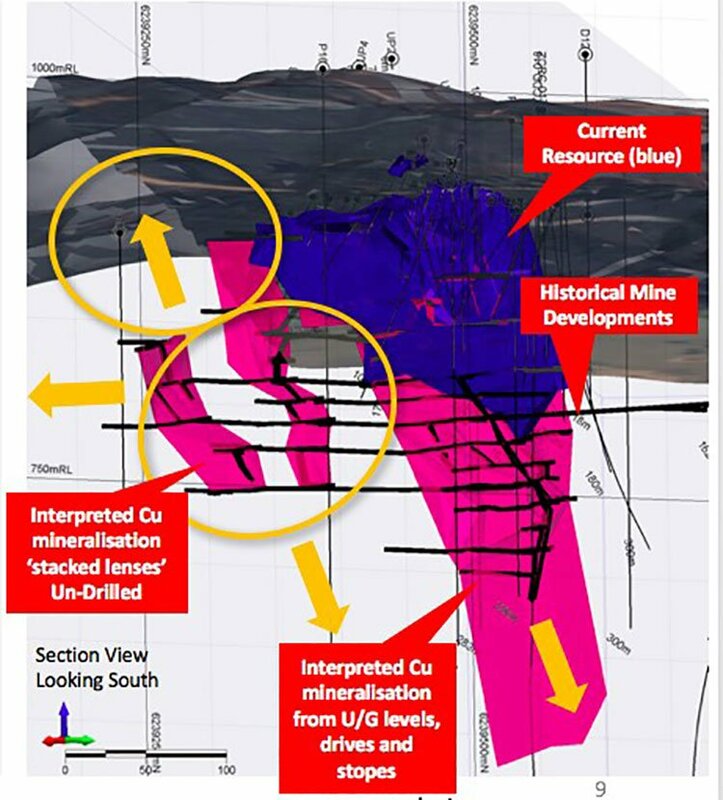 The Burraga Copper-Gold Project in NSW. Horseshoe South Copper Project in WA. The Malang Copper-Gold Project in Indonesia. It is the Burraga Project that is this company’s flagship project (and the primary focus of this article) and it is now highly prospective for not only gold and copper, but potentially zinc as well. The global market for the refined metal was in deficit in 2016 and this trend is continuing. The International Lead and Zinc Study Group reported that zinc inventories in warehouses operated by the London Metal Exchange, Shanghai Futures Exchange and Chinese State Reserve Bureau — along with those reported by producers, merchants and consumers — decreased last year. 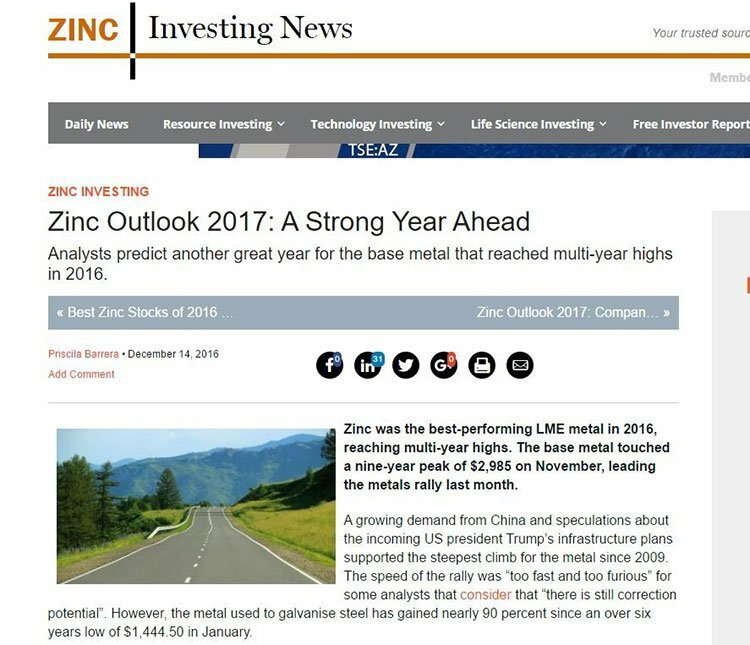 As such the zinc outlook for 2017 could reach further multi-year highs. With gold prices fluctuating, but remaining stable overall, and zinc prices on the rise, EYR’s Burraga Project, could be the multi-commodity provider that could propel this company’s ambitions to new highs. Let’s take a closer look at Burraga. Of its three projects, EYM’s main is focus is its 100%-owned Burraga Copper-Gold Project. The project covers a total area of around 221.5 square kilometres, having been recently expanded, in the world class East Lachlan Fold Belt of central western NSW. It’s an area with a rich history of gold and copper exploration and mining, hosting the world-class Cadia Gold Mine, Northparkes Copper-Gold Mine, the Cowal Gold Mine, and the emerging McPhillamy’s Gold Discovery. The Lucky Draw Gold Mine. The project has a JORC 2012-compliant Measured Indicated and Inferred Resources of 1.68 million tonnes at 0.9% copper, comprising an in situ Resource of 1.3 million tonnes at 0.8% copper as well as 280,000 tonnes at 1.2% copper in tailings and 90,000 tonnes at 1.3% copper in slag. As you can see, copper was a main focus, but with a change of Board came a change of plans. Following the Board changes, EYM thoroughly reviewed its operations, finding that the best course of action was to shift the company’s immediate focus away from copper to gold. It also found that promising polymetallic (copper, zinc, lead, gold) mineralisation was present on its existing tenement, with the potential to produce zinc. When EYM purchased the Burraga asset back in 2010 it thought the project would be relatively straightforward. The plan was to quickly get it back into copper production, after which it would throw off cash to fund future copper and gold exploration on the tenure. However, as the global copper market went into decline, taking the copper price down with it, the project was no longer so attractive or as straightforward. The company adjusted by diversifying its operations and production objectives to provide exposure to the gold and zinc markets while still having a hand in the copper game. The new Board took the view that there remained copper potential in the project, but it was smart to also consider the gold and zinc potential on offer. 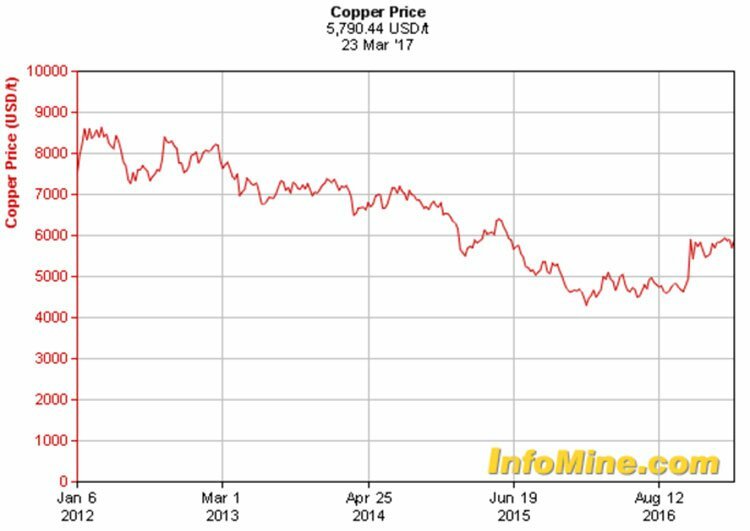 And then copper prices staged a comeback after years in decline (as you could see in the copper price chart above). 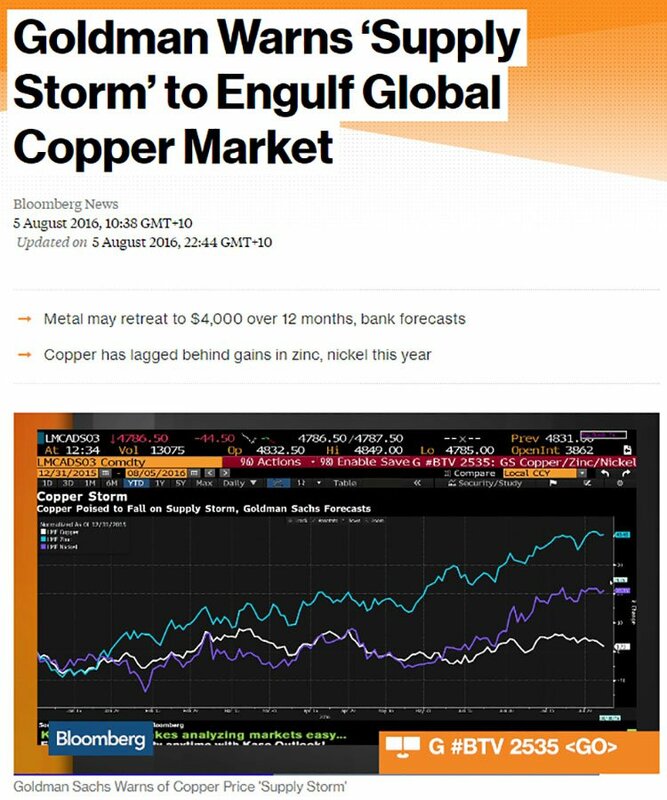 So now, copper prices are headed in the right direction, while the company is also hoping to profit from its diversification into zinc and gold. On February 27, EYM announced that it had applied for a new Exploration Licence to expand the company’s contiguous ground at the Burraga Copper-Gold Project from 138 square kilometres to 221.5 square kilometres. The move strengthens the company’s footprint in the highly competitive world class region. Then on March 15 the company announced it is gearing up to begin drilling zinc and gold targets at Burraga. After emerging from a trading halt the company announced it had uncovered zinc and gold targets at the highly prospective project. 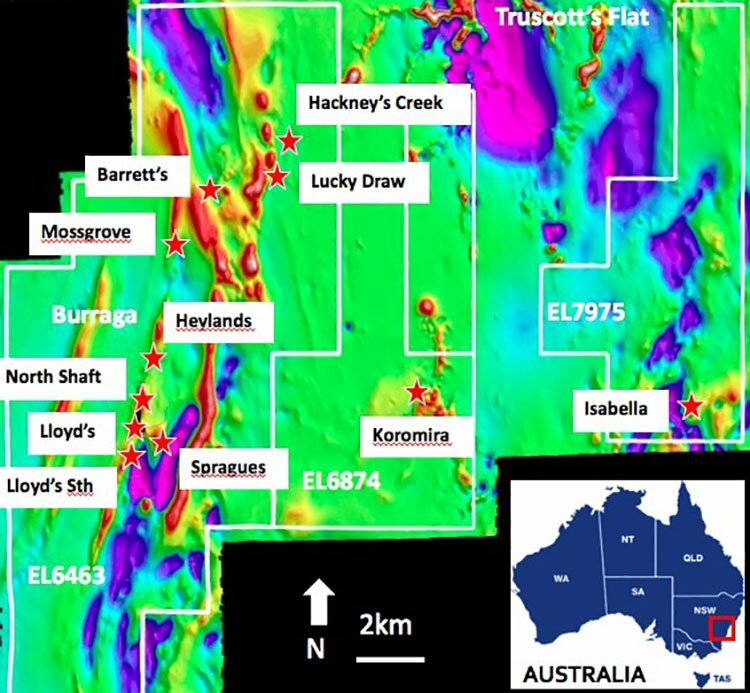 History suggests that EYM has a good chance of success with gold having been previously mined at Burraga, both at Lucky Draw and at Hackney’s Creek. The gold targets at Burraga are quite shallow with historic drilling encountering 21.3 metres at 15.15g/t gold from 89 metres. This included including 1m at 227g/t Au from hole LDD309; 33.6m at 2.28g/t Au from 71.4m, including 5m at 5.83g/t Au from hole LXD283; and 25m at 3.57g/t Au from 20m, including 10m at 7.48 g/t Au from hole LXD359. Going off of these historical intercepts EYM’s confidence seems to be well placed. EYM now hopes to lift the current 32,000 ounces of gold at Hackney’s Creek and Lucky Draw to the vicinity of 500,000 ounces of gold at around 2 to 4 grams per tonne gold. 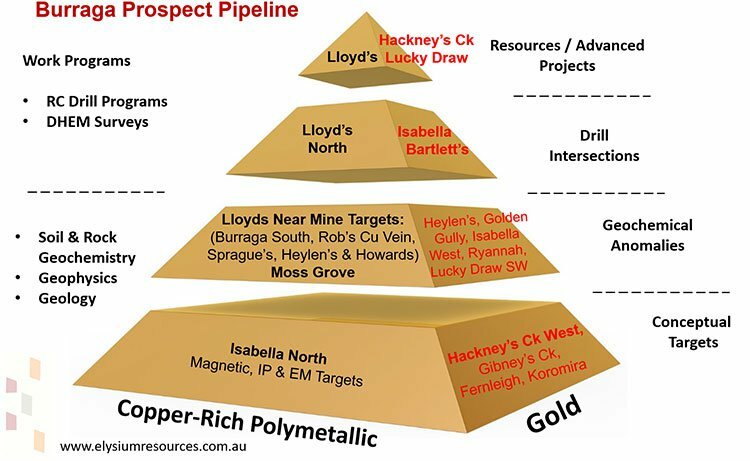 EYM has a list of emerging polymetallic (Copper-Zinc-Lead-Gold) targets across its Burraga project, forming an enviable portfolio that it aims to progress significantly in 2017, while the economics are in its favour. Here’s a look at the Burraga pipeline. 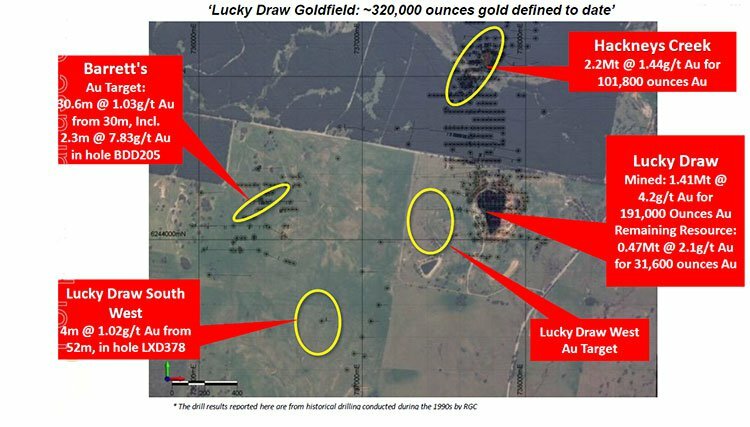 Lucky Draw was discovered by Renison Goldfields Consolidated in the mid-1980s which mined a total of 1.48 Mt grading 3.53 g/t gold between 1988 and 1991. The current resource at Lucky Draw, of 31,600oz, is largely contained in the pod of un-mined mineralisation to the northwest of the pit. It was not economic to mine this resource in the early-1990s in the low gold price and high cost environment at the time. The Hackneys Creek prospect is located some 800 metres north of the Lucky Draw deposit and has similar mineralisation. Hackney Creek’s was also discovered by Renison Goldfields in the late 1980s, yet despite its proximity to Lucky Draw it was never mined. Gold targets at Hackney’s Creek await 2000m of RC drilling. Hackney’s Creek contains JORC 2004 inferred Resource of 2.21 Mt at 1.4g/t gold for 108,000 ounces and infill drilling should allow the Resource to be upgraded and potentially expanded shortly. The Barraga Project includes the historic Lloyd’s Copper Mine, which between 1878 and 1961, produced 19,443 tons of copper from 469,626 tons of ore implying an impressive recovered grade of 4.14% copper. EYM and its subsidiaries have been operating the Project since 2010 and EYM recently acquired the freehold land covering the resource. In its latest round of news, EYM recently completed drilling of five exploration holes as part of the Lloyds Copper Mine extension program. All holes intersected multiple sulphide-bearing horizons which may prove to be lateral extensions of known ore bodies. Now, here is the recent round of drilling shown in red. Mineralisation at Lloyds Copper Mine is complex but is characterised by stacked lenses which suggest a locally epithermal-style system. Lloyds also consists of two existing slag dumps of up to 350 Kt and a tailings resource with a drill proven 234Kt @ 1.2% Cu. Drilling at Lloyds targeted mineralised horizons based on previous models further to the East than had previously been drilled hoping to intercept mineralisation down dip as you can see in the diagram below. Looking forward, core from 2015 drilling program of exploration holes within the Lloyd’s prospect are now currently undergoing sampling preparation for further analysis. 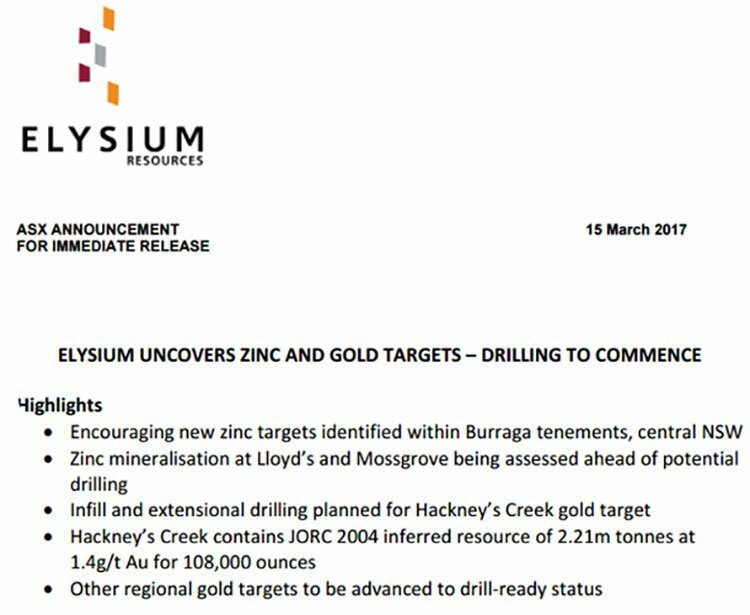 Another promising target, located to the west of Hackney’s Creek–Lucky Draw and north of Lloyd’s, is the Mossgrove zinc and polymetallic target. It consists of a series of copper-zinc +/- lead-silver-gold targets along a seven kilometre-plus shear zone. Previous exploration at Mossgrove identified semi-continuous gossan outcrops that are semi-coincident with historic >700m long, high amplitude electro-magnetic (EM) anomalies, open to the northwest. Base metals are reportedly associated with semi-massive, stringer, vein and disseminated sulphide zones. Pending successful land access negotiations, the exploration program may also involve RC drilling at the Isabella prospect, which displays a similar geochemical signature to Hackney’s Creek and Lucky Draw. EYM continues to investigate its previously underappreciated zinc and polymetallic potential —following the arrival of the revised Board and renewed focus and in light of the positive outlook for the zinc price — while continuing with early-stage exploration and drilling. 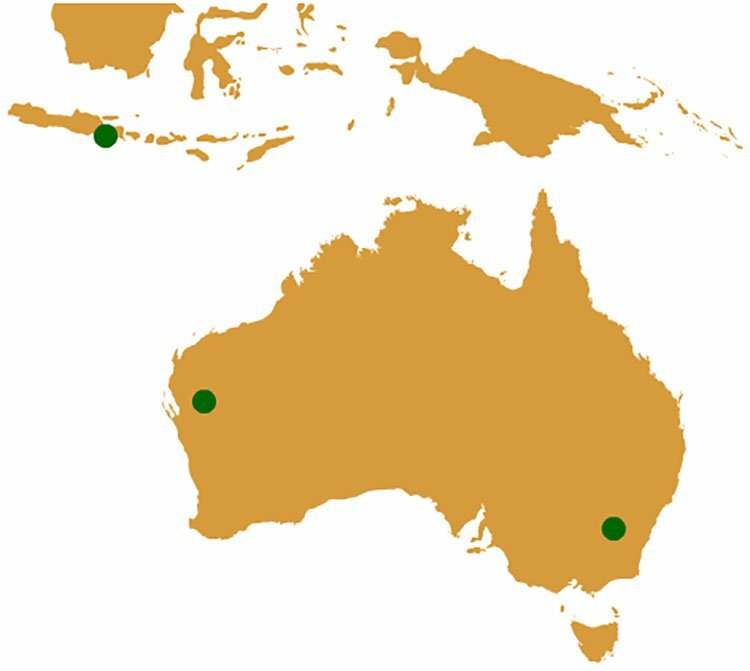 The Burraga Project is EYM’s main focus right now, but we shouldn’t forget that it has two other projects — the Malang Project in Indonesia, and the Horseshoe South Project in Western Australia. All up, EYM’s suite of quality assets with its diversified production potential, combined with a refreshed Board and its revised strategy, all add up to being a highly promising investment. Although this remains a speculative stock, so investors should seek professional financial advice if considering this stock for their portfolio. The company has assembled a highly attractive and promotable multi-commodity portfolio with plenty of future growth opportunities, requiring just modest budgets. And it looks like the company can continue to adapt as needed going forward, with operational and strategy decisions made with shareholders’ best interests in mind.